At Alternative Lawn Care in Sparta, MI, we take great pride in your lawn. We treat every lawn as if it were our own with all of our programs, and our lawn fertilization program is no different. 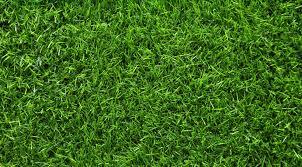 We offer premium lawn fertilization services to the Sparta, MI area. Our lawn fertilization program is a 6 application program. We start in the early spring with a fertilizer and crabgrass preventer. As we move into the next four visits, we apply a balanced fertilizer and weed control. Our final visit is called the winterizer, done in November, which strengthens the root systems for the winter. This application helps the lawn recover and take off quicker come springtime. 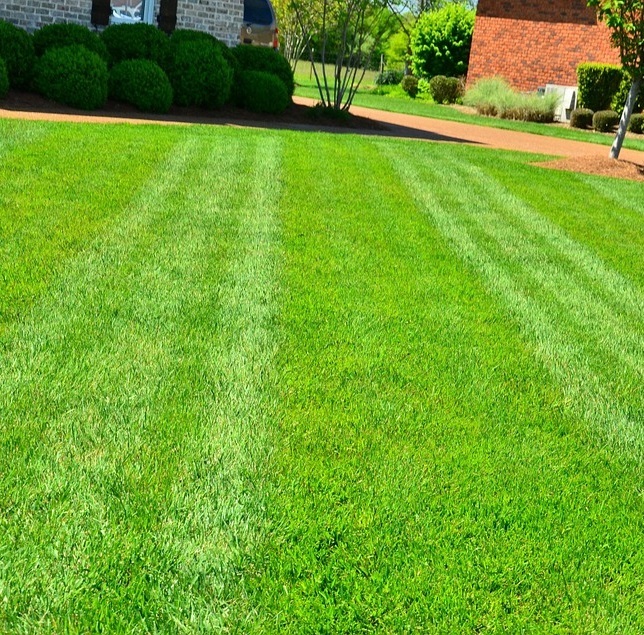 Our lawn fertilization services are all custom fit to your individual needs. Different types of grass require different things. Whether your grass is in a sunny or shady area, gets a lot or a little water, or is even a different type of grass, we will tailor the program to fit these individual needs. Oftentimes we even treat front lawns differently than back lawns, due to several factors including regular traffic, how sunny the area is, etc. It’s very likely that you’ll be receiving a completely different program than your neighbor who also uses us, and this is because we realize that all lawns have different needs. Customized lawn fertilization programs are our specialty. In addition to the specialized fertilizers we offer, we can also custom-tailor other parts of our program as well. Whether you need 1 application, the full program, or anything in between, we can accommodate your needs. We don’t require you to sign any contracts, giving you the peace of mind to try us out. And as always, our service is guaranteed. If you’re unhappy with the color or growth of your lawn, we will return to your property and keep working until we solve the issue. We use all granular fertilizer at Alternative Lawn Care, which really helps us custom-tailor your program. We have several different types of fertilizer in our vans at any given time, ensuring that we have what you need on hand when we get to your property. All of our lawn fertilization technicians are certified with the 3A/3B core, and are extensively trained in what they do. They all have many years of experience. Our technicians in this area are completely different from our employees in other areas of the business, meaning that they’re fully specialized in what they do. At Alternative Lawn Care, our slogan is “Your Environment Choice.” We’re committed to using the greenest products possible, and can offer an all-organic lawn fertilization program. You have more harmful chemicals under your kitchen sink than what we apply to lawns. Our fertilizers are safe for pets, children, and are all completely guaranteed. Lawn fertilization is an often overlooked aspect to lawn care. Many people think that if their lawn is green and growing, that they are good to go, but this isn’t the case. Fertilization offers many benefits, including helping your lawn become resistant to insect and disease damage, as well as helping it to grow thicker and fight against weeds. Weeds need bare spots of soil in order to germinate, and fertilizing your lawn regularly helps ensure that there are no bare spots for weeds to come in. Regular feedings also help your lawn withstand other stresses including heat, drought, and regular foot traffic. Your lawn will be so lush, green, and soft that you’ll want to kick off your shoes and run around in it! And if you’re worried about ants, grubs, fleas, or ticks, we also offer an insecticide program. Not only is lawn fertilization great for your lawn, it’s also great for your wallet. It’s one of the most affordable ways to care for your lawn because it helps prevent a lot of problems before they can pop up. Fertilization protects your lawn against drought stress, so if we have any unusually dry weeks this summer, your lawn will fare better than if it had not been fertilized. Not only that, but regular feeding helps your lawn withstand the heat, adding another benefit on unusually hot summer days. Our winterizer application helps your lawn get through the winter, ensuring a quicker green up in the spring and helping to prevent rot throughout the winter. Regular fertilization should be done about every 6 to 8 weeks, but should you only want it done once or twice, we can do that too. All of our programs are fully customizable because we know that our customers are all individuals with different needs. We want to offer you a convenient, affordable lawn care package, and our customer-tailored, contract-free programs help us to do that. Alternative Lawn Care has been in business since 1989. We first started out as simply a lawn fertilization company, meaning we’ve been doing this longer than we’ve been doing anything else. We service both residential and commercial customers, and do so with great personal attention. We provide the best service through not only the best products, but also the highest trained staff. We don’t immediately throw our new employees out onto the field; we make sure that they truly understand what they’re supposed to do and how to do it before they ever set foot on a lawn. Along with our lawn fertilization, our company has really grown in scope. We offer lawn mowing, snow plowing, landscaping, waterscaping, and even tree and shrub installation and care in the Sparta, MI area. We have an A+ rating with the Better Business Bureau, further attesting to our commitment to excellent service. Give us a call today for a free, no obligation estimate, and experience what type of customized service we can offer you.